Through applications in the areas of ADAS, infotainment and connectivity, Ethernet technology has made the breakthrough in vehicles. Together with us, dare to look ahead to the coming developments. On 2th of April 2019, the Wagenhallen in Stuttgart opened their doors for the 4th Vector Automotive Ethernet Symposium. 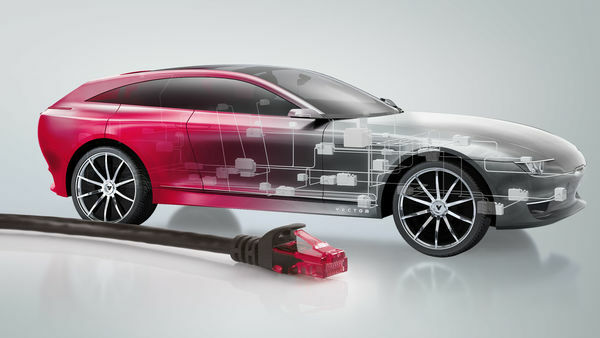 190 experts discussed Automotive Ethernet. In 7 presentations - by Infineon, NXP, TÜV-Nord and Vector - the speakers showed the current status and presented solutions for the upcoming challenges. The presentations were rounded off with an exhibition in which Vector presented its tools and solutions for various aspects of Automotive Ethernett. Reason enough for the participants to have more in-depth conversations during the coffee breaks and also after the lectures. Please click the title to download the presentation as PDF-file.